Showing results by author "Alfred T. Mahan"
In 1886, the U.S. had no navy to speak of. But it did have Alfred T. Mahan, a captain of the U.S. Navy who had spent much of his career observing the exemplary fleets of the British Empire. 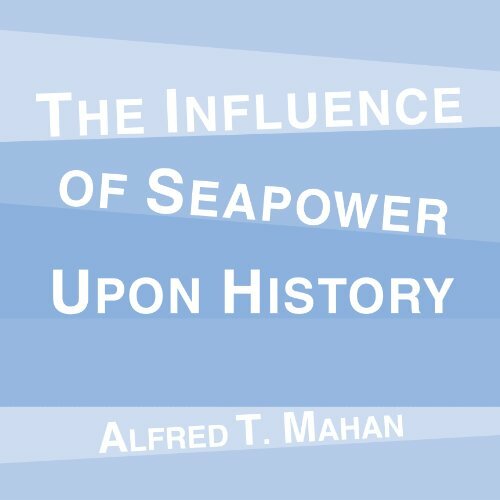 At age 46, Mahan was just 10 years short of retirement age when the newly formed Naval and War College at Newport, Rhode Island, asked him to lecture on naval history and tactics. Out of these lectures grew a book that would change the world. It's no exaggeration that The Influence of Seapower Upon History affected the outcome of both great world wars. When it was first published in 1890, prime ministers, kings, admirals, and chancellors eagerly studied its strategies, which England first employed to rule the seas. Likewise, all the major powers have used it to shape imperial policies.